There are lots of different ways of praying, and Solomon’s prayer at the dedication of the completed temple shows us several. Today, we’re going to take a look at the way Solomon addressed God’s promises in his prayer, and how we can do the same. Humility (12-15) Solomon begins his prayer by humbling himself before the Lord. His physical posture is an outward, visible-to-the-people indication of his inward attitude of the heart and sets an example for the people, that they should humble themselves before God as well. When we pray, we are to approach God in humility. confess God’s uniqueness, magnitude, and supremacy above all else, (14- “there is no God like you in heaven or on earth”). confess God’s faithfulness and fulfillment of promises to His people (14-15- “keeping covenant and showing steadfast love to your servants…You spoke with your mouth, and with your hand have fulfilled it this day.”) What are some promises God has made to Christians that you have seen fulfilled? as a way to call to mind and confess God’s faithfulness to keep His promises in the past. Seeing God’s track record of keeping His promises builds our faith and trust that He will continue to do so. as another way of acknowledging God’s attributes. He is faithful, sovereign, trustworthy, and a promise keeper. as a reminder to us to give God thanks, praise, and glory for His faithfulness and promise keeping. as a way of declaring our trust in Him. We ask Him to keep His promises, not hoping that He might, but knowing that He will. as a way of submitting ourselves to God, agreeing with Him about what He has spoken, rather than asking Him to agree with us about what we have spoken. as a way of praying in God’s will and in Jesus’ name. Often, when we pray, we’re not certain precisely what God wants to do (His will) in a given situation. When we ask Him to fulfill His promises, we can be certain we are praying for His will to be done and that He will do it. 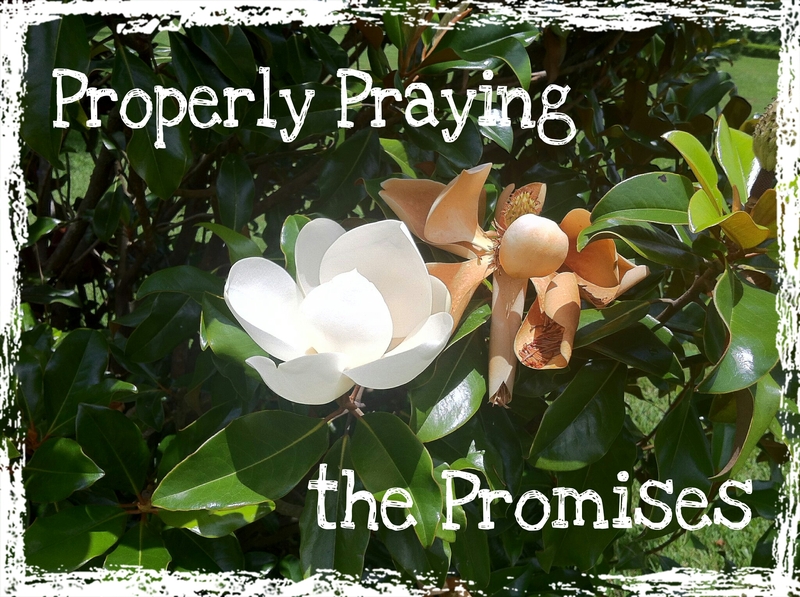 When thanking God for fulfilling His past promises, or asking Him to fulfill as yet unfulfilled promises, we need to make sure we understand what constitutes a promise (and what does not) and which promises are for us as Christians (and which are not). For example, we are in the middle of reading Proverbs. The proverbs aren’t promises (to us or anyone else). They are general rules of thumb. We can think of exceptions to many of them. “Raise up a child in the way he should go and when he is old he will not depart from it,” is generally true, but we have all certainly known of godly parents here and there who did their best to raise their child biblically, and then the child rebelled as a teenager or young adult and never came back to the faith. Just because something is stated in the Bible doesn’t mean it is a promise that God is bound to. We have to discern between promises and other types of statements. We also have to discern between promises that are meant for us as Christians and promises that were meant for another individual or group of people by studying God’s word in context. It’s easy to see, for example, in v. 16, that God’s promise, “You shall not lack a man to sit before me on the throne of Israel…” was made specifically to David, and not to us. First of all, Solomon clearly says, “keep for your servant David my father what you have promised him.” But even if it didn’t say that, it’s clear in other ways: Israel no longer has a king, you and I are not citizens of Israel, and there are no other Scriptures which indicate that God promises every Christian a line of heirs who will be kings of Israel. Now, you’ve seen this verse on memes and bumper stickers and coffee cups. What do you think people usually mean when quoting this verse today? This verse is often quoted as a call to prayer and revival for American Christians, with the promise that if we pray, repent, and humble ourselves, God will turn America around and make it “one nation under God” again. We’ll have a Christian president and legislators who make moral laws. Abortion and homosexual “marriage” will be made illegal, and Christian prayer will be reinstituted in public schools. But is that really what this verse is promising, and is it promised to us as 21st century American Christians? Let’s take a look. The first thing to notice about this verse is the very first letter. What kind of letter does it start with? A lowercase one. What does that indicate? It’s not the first word of a sentence. Verse 14 starts in the middle of a sentence. If I gave you a recipe that consisted only of, “whip until frothy, adding the sugar gradually,” and told you to make the dish, you’d have a lot of questions. What am I making? Whip what? How much sugar? What else goes in the dish? What do I do before and after whipping and adding the sugar? In the same way that we can’t fully understand a recipe by just seeing one line of it, we don’t just rip one line or verse of Scripture out of the Bible without looking at the whole “recipe,” or context, or we won’t have an accurate picture of what it’s saying. When I shut up the heavens so that there is no rain, or command the locust to devour the land, or send pestilence among my people, 14- if my people who are called by my name humble themselves, and pray and seek my face and turn from their wicked ways, then I will hear from heaven and will forgive their sin and heal their land. Are there any other verses of Scripture that would support that this is a direct promise to all Christians for the past 2000 years or to 21st century American Christians? 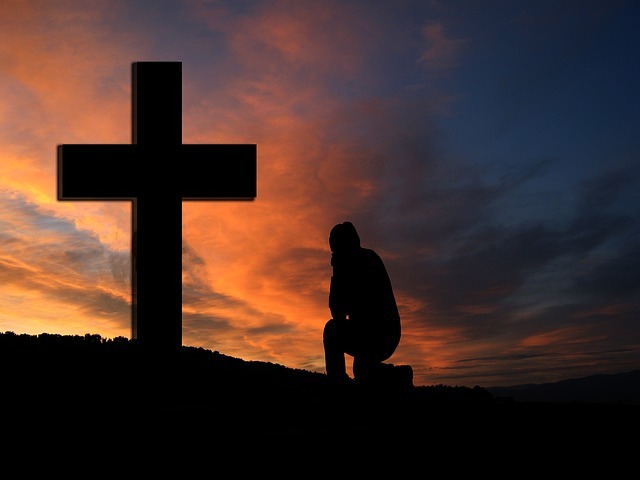 I don’t know of any other supporting passages that imply that if Christians humble themselves and repent that God will give them a nation governed by biblical laws and leaders and that we will have a society that behaves itself, morally. In fact, in the New Testament, in the early church, we see the exact opposite. The more the church prayed, humbled itself, and spread the gospel, the more Rome persecuted Christians. Thousands were crucified, burned alive, thrown to the lions, and otherwise tortured and martyred. And yet, we never hear of them claiming 2 Chronicles 7:14 as God’s promise to them that He would turn things around if they would only humble themselves and seek His face more. We can see the same thing today in countries like North Korea, Pakistan, and others that persecute Christians. Things are getting worse for Christians in those countries, not better (as 2 Timothy said), and none of those governments are turning around and embracing Christian ways. When was the last time America experienced widespread drought, locust infestation, or pestilence? Verse 13 specifies that these agricultural hardships are the ones that God promises to heal. It is a promise of literal healing of the land so that crops will grow unharmed, game will be plentiful, and people will be able to eat, not a promise of a metaphorical “healing” of a nation’s immorality. Now, if we claim that this “healing of the land” applies to us today, then we also have to claim that God will punish our disobedience with those very things He promises to heal (drought, locusts, and pestilence), because that’s what these verses are talking about. The people would disobey, God would punish them with these things, they would repent, and God would heal the land. We can’t claim the promise without claiming the punishment. And that’s not the way God disciplines Christians, as a whole, today. If it were, we’d see a lot more agricultural problems in our country. So, if we give it a little thought and a little context, we can see that verse 14 does not apply to Christians. Who does it apply to? Who is the “my people” God is talking about? Let’s read verses 11-18 and 6:26-30. Now, it’s very clear that these are specific instructions to Solomon by God after the dedication of the temple, and a specific answer to Solomon’s prayer, and that the people that both Solomon and God are referring to is the people of Israel. But it just sounds like it’s for us! It may sound like this passage is a promise to us, but it isn’t. Just because something sounds good to us doesn’t mean it applies to us. The reason this passage sounds like it applies to us is because there are some principles in this verse that do apply to us. How do we know? Because they are supported by other clear and direct Scriptures that we know apply to us. Does God promise to heal our land of the agricultural problems He has punished our disobedience with if we do these things? No. He hasn’t. They don’t exist. He won’t. And there are no other supporting Scriptures that say He will. Asking, as Solomon did, for God to fulfill His promises and thanking Him for those already fulfilled is a wonderful and worshipful way to pray. But, if we truly want to pray “in the name of Jesus” and pray rightly for God’s will to be done, we must use wisdom, discernment, and the tools God has given us to discover exactly what He has promised us.